This year’s RCS Senior Fellows’ Society meeting will take place in Cardiff, Wales, and will be split across three days in June. Please join us on the Monday 11 (optional), Tuesday 12 and Wednesday 13 June for an engaging and thought-provoking programme of lectures and activities, based in central Cardiff. For those who would like to arrive on Monday 11 June, there will be an informal tour of Llandaff Cathedral, kindly arranged by the Dean, Gerwyn Capon, and followed by evensong. PLEASE NOTE: The Cathedral is three miles from the hotel. No formal transport is arranged, but taxis are adjacent to the hotel and sharing arrangements can be made. There is also the option to take a pleasant 45-minute walk back through Bute Park. Please meet at 3.00pm outside the hotel if you wish to share taxis. PLEASE NOTE: There are no prior arrangements for dinner on Monday 11 evening. There are many restaurants within easy walking distance of the hotel, or you can use the hotel's restaurant. Following a buffet lunch, attendees will be able to chose either from a tour of The Royal Mint at Llantrisant, or a scenic boat tour down the River Taff. Coach will leave the Clayton Hotel at 1.45pm and return roughly 5.15pm. The Mint Experience includes a talk on the history of the mint, description of the process, a viewing of the production line and some free time in the exhibition. The Waterbus will leave at 2.15pm, and so there will be a short walk from the Clayton hotel to the Waterbus stop beforehand, at 1.45pm. The boat will take you down the Taff into the bay to view the redeveloped area and the barrage and possibly part of the Ely river. It will finish at the Castle (NOT the hotel), which you may wish to visit. It is about a half mile walk back to the hotel through the shopping centre. 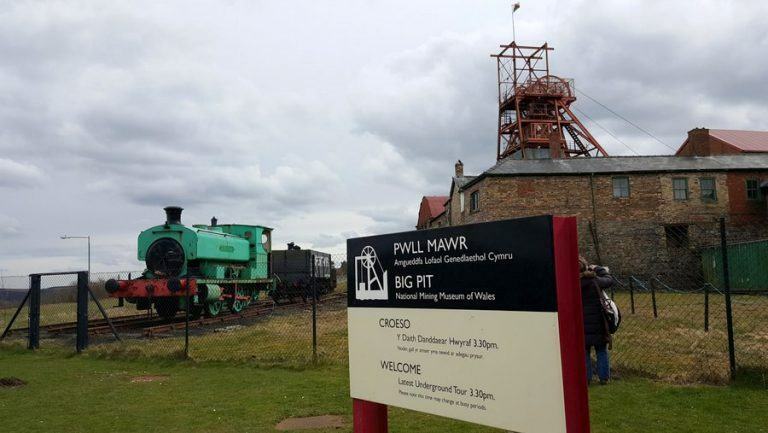 The afternoon will provide another chance to visit The Royal Mint for those who missed it, or a trip to the Big Pit National Coal Museum. Coach will leave the Clayton Hotel at 1.30pm and return roughly 6.00pm. This is an old coal mine in the Gwent Valleys. It includes an underground tour. This takes about 45 minutes, involves some walking over uneven ground, so sturdy footwear is essential. The ambient temperature is 10oC so a light sweater is recommended. 7.00pm Drinks and dinner at The Cardiff and County Club, situated near the city’s historic Central Market. Dress code: smart casual. PLEASE NOTE: There is no official transport booked to get to the County Club from the Clayton Hotel. However, please meet outside the hotel at 6.30pm to walk or share taxis. Please contact the RCS Events Team on rcsevents@rcseng.ac.uk if you have any access requirements we should know of, or if you are unsure about access facilities at any location across the three days. The Clayton is located adjacent to the main railway station, so is well suited for arrival by rail. However, the station car park is £11 per day. Please call Sue Carde, Events Co-Ordinator at the Clayton Hotel, directly on 029 20574669, quoting "Royal College of Surgeons", and the code 488702 for a discount on your stay. St Mary St, Cardiff, CF10 1GD. £85.00 bed and breakfast per night based on single occupancy or £95.00 per night based on two persons sharing. PLEASE NOTE: the discount is valid for all three nights of the 11, 12 and 13 June. Please contact the RCS events team on rcsevents@rcseng.ac.uk with any queries. *Once you have booked your place, you will be contacted appropriately by email with; your booking confirmation, feedback survey and attendance certificate. Profiting From Emotional Resilience - Cardiff I AM WOMAN Academy Event - 6pm Tuesday April 30th 2019 - Mercure Hotel, Cardiff.